Our dunking tanks have been delighting crowds for years. 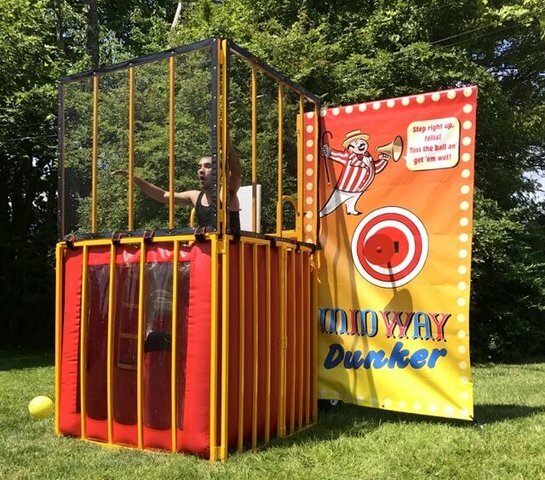 The concept of dunking the boss at the company picnic, school event or dunking the local “celebrity” at fundraiser events has become an American pastime. 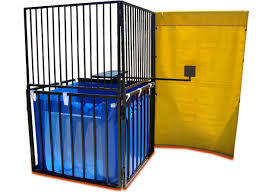 The Dunk Tank has always been a leading money maker at fairs, carnivals, and block parties as well as a great party item! Renter mus have an adult, 18 years or older, on duty to supervise the dunk tank while filled with water. Note: due to constant product development and improvement, artwork, shape, color, size, description, and schematic that appear on the web may not reflect the latest changes.